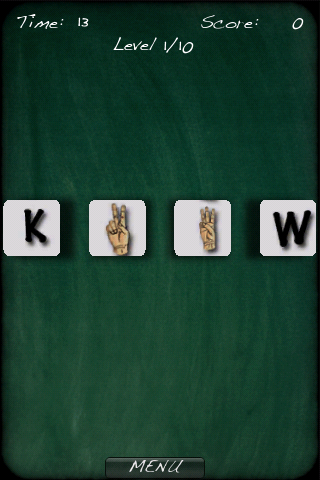 This game will encourage you to learn the ASL alphabet while being entertained. Train your brain and test your skills by matching up the letter with the corresponding sign as quickly as possible and with the fewest mistakes in order to achieve the highest score. But be careful because a mistake can set you back! If at the end of the round you are "in the hole" you must replay that round before you move on to the next level (ten in all). Check out our other app: iSign3D - American Sign Language. This successful application is the perfect reference of the sign language alphabet in real-time 3D. With one touch on the screen you can orbit the sign in real-time 3D. 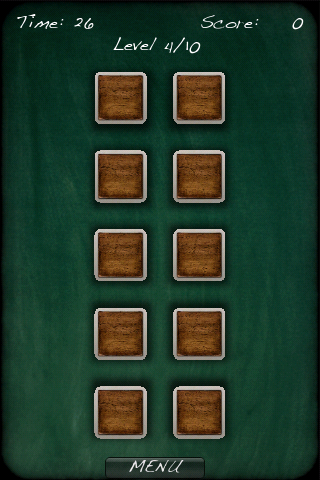 - 2 more free levels added - Easy Mode doesn't hide the back of the cards anymore and has an improved point system. 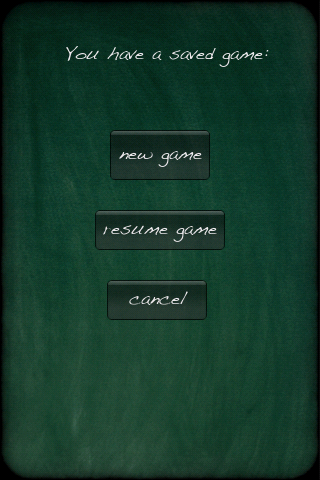 The Easy Mode is intended to learn the ASL in a fun way. The Difficult Mode will quiz your knowledge! Good luck and have fun.